Home / News / Unbelievable / Viral / Viral Video Shows Newborn Baby Refuses To Let Go Of Mommy, Clings On To Her Right After Birth! 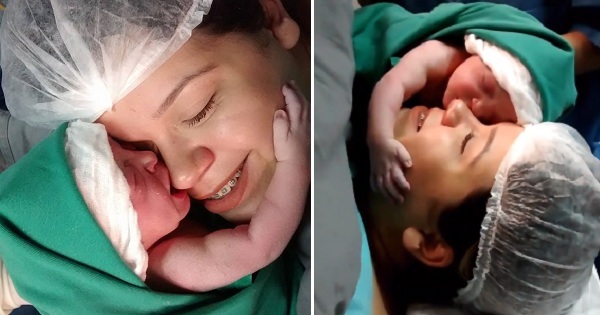 Viral Video Shows Newborn Baby Refuses To Let Go Of Mommy, Clings On To Her Right After Birth! Kangaroo Care or the skin-to-skin contact after birth is said to set up the mother-and-child interaction which will be carried for the rest of the baby’s life. Experts say that this also promotes bonding and a lot of health benefits for both mother and the infant. Nowadays, a lot of hospitals are promoting Kangaroo care regardless if the mother delivers the baby via normal or C-section. This moment is also very emotional for the mother as she gets to hold the baby that she carried through her womb for 9 months for the first time. A lot of mothers who experienced Kangaroo Care said the moment is magical and unexplainable, it’s like your heart is going to explode because of so much love from the infant you just met. But one newborn baby who had her first skin-to-skin interaction with her mother stood above the rest of the Kangaroo Care experiences. The mother-and-daughter's first skin-to-skin interaction was captured on video where the baby girl was seen clinging on her mother and refusing to let her go. 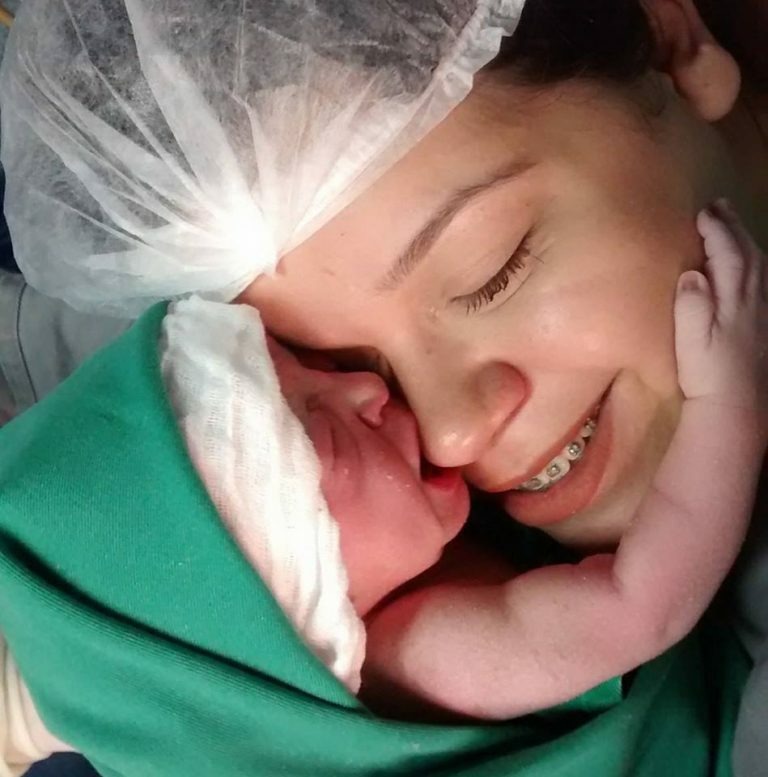 The baby girl was seen holding her mommy, Brenda Coelho’s face tightly and feeling her face next to her after a successful C-section. And because the newborn is crying loudly when the nurses attempt to get her back, they allowed the new mother-and-daughter spent some time close to each other. The dramatic moment also brought tears to the staff inside the operating room. The video shared by Facebook page Maternidade Cor de Rosa immediately went viral and gained 112,000 reactions, 138,000 shares, and 9.2 million views as of writing. A great reminder that a mother and child’s bond is indeed wonderful. What can you say about this touching moment? Share us your thoughts in the comments section.